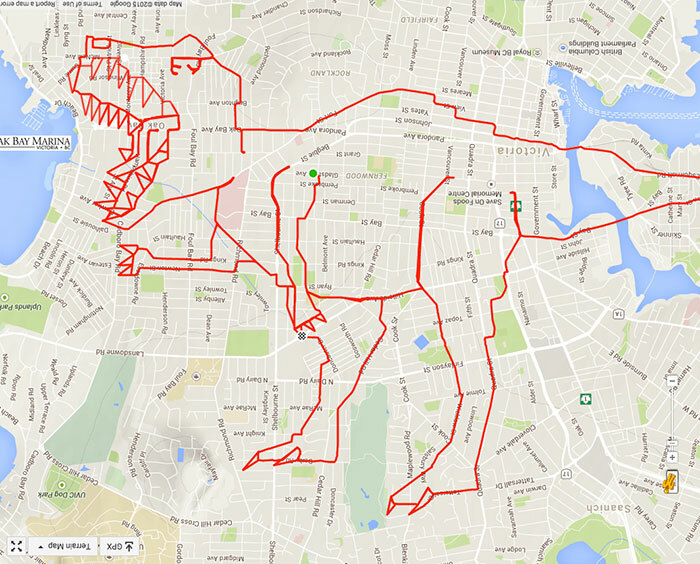 While some people draw on a map with a finger, the others hop on their bike and create the artworks by cycling through the actual landscape. 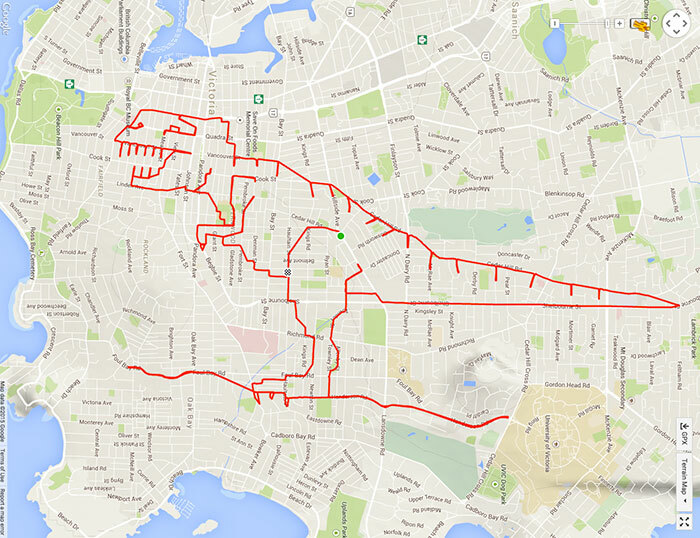 Stephen Lund from Victoria, British Columbia, is a GPS artist who creates his masterpieces by riding around the countryside with the GPS navigation on, recording crazy images of giant proportions. 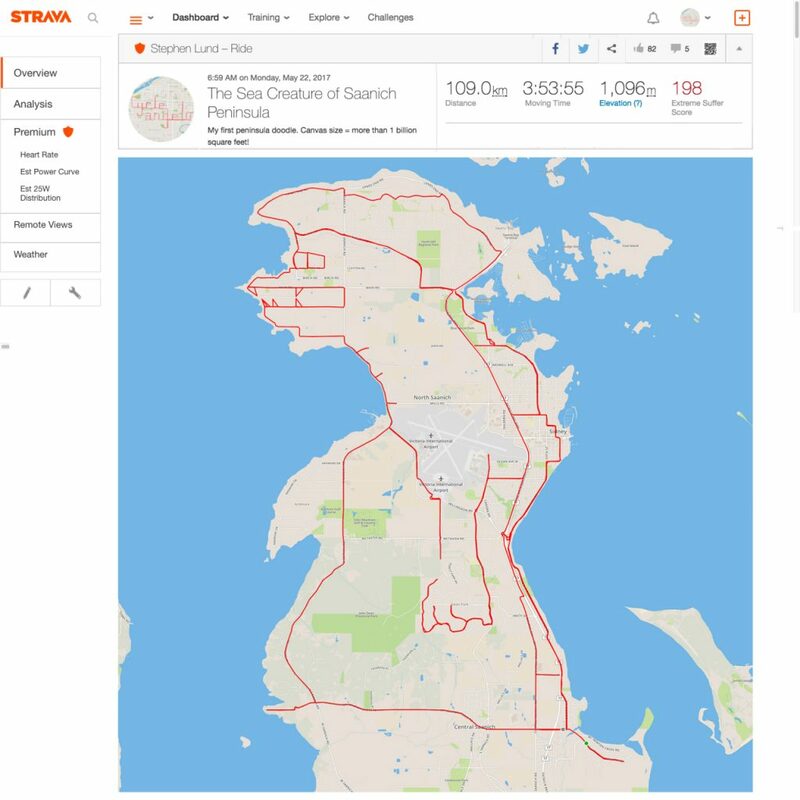 You can see the results of his work on his personal Strava account where it’s easy to see that Stephen has already cycled almost 11,000 km over the course of this year while spending more than 340 hours in the saddle. 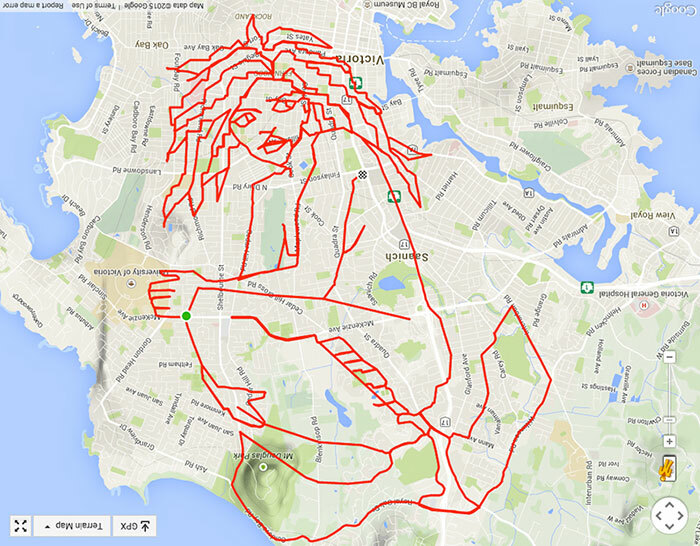 His largest concept ever made has been a giant mermaid that, in order to “draw” it, required him to cycle over 220 km. It took him hundreds of kilometres to create his best known creations such as the giant giraffe, T-Rex, Darth Vader, a stegosaurus, a racoon or an enormous orca. While pursuing his passion for almost two years, he has cycled over 23,000 km, which would be a great sports achievement even for avid athletes who are, incidentally, simply cycling. 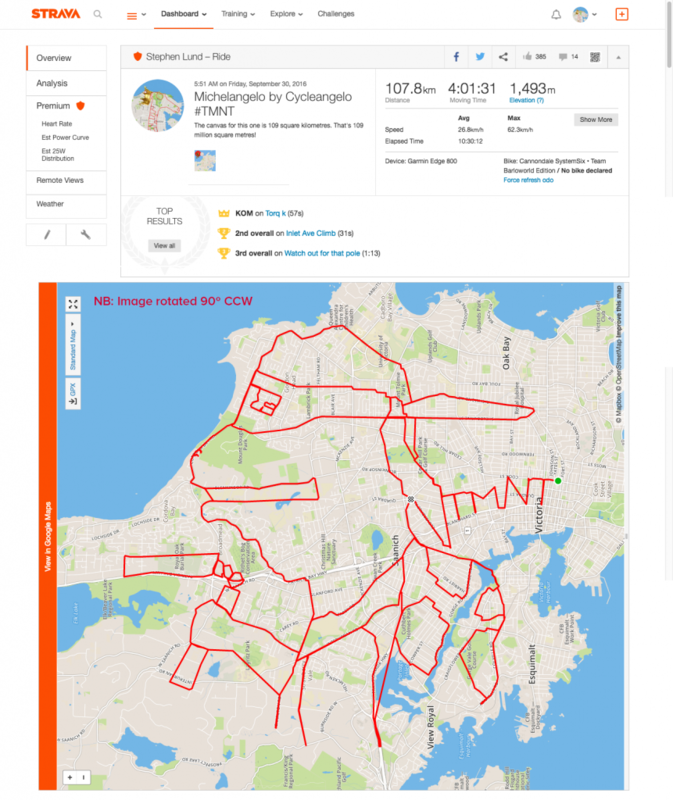 His recent piece is a Ninja Turtle portrait named “Michelangelo by Cycleangelo” which creation consumed 107 km of riding with an average speed of 26 km/h! 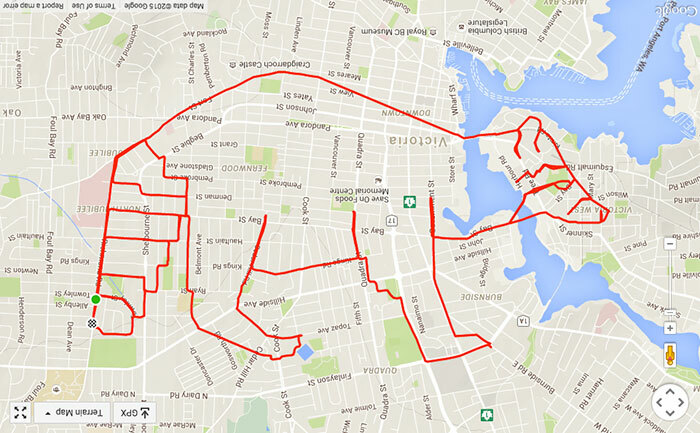 The number of pictures is growing constantly as Stephen rides approximately 70 km every day. Where does his inspiration come from? According to the Canadian cycle-artist, the most famous pieces just pop off the map by themselves. When Stephen used to be a kid, he spent many hours by watching the sky, using his fantasy to guess what else do the shapes of the clouds resemble. Today, he experiences similar feelings when spreading a large map on the table or on the floor. By planning a new artistic route, he must make sure that the line of the intended artwork should be rather continuous. Although he can use the trick with switching the GPS navigation off and on again, Stephen prefers “one stroke drawing”. 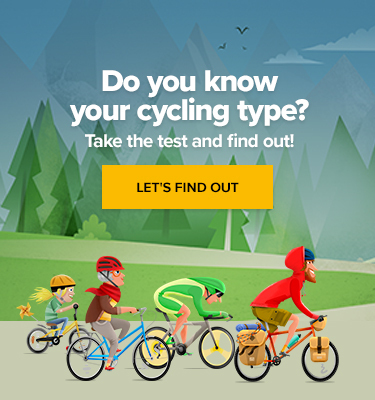 Actually, Stephen is not the only cyclist who practices creating GPS patterns. 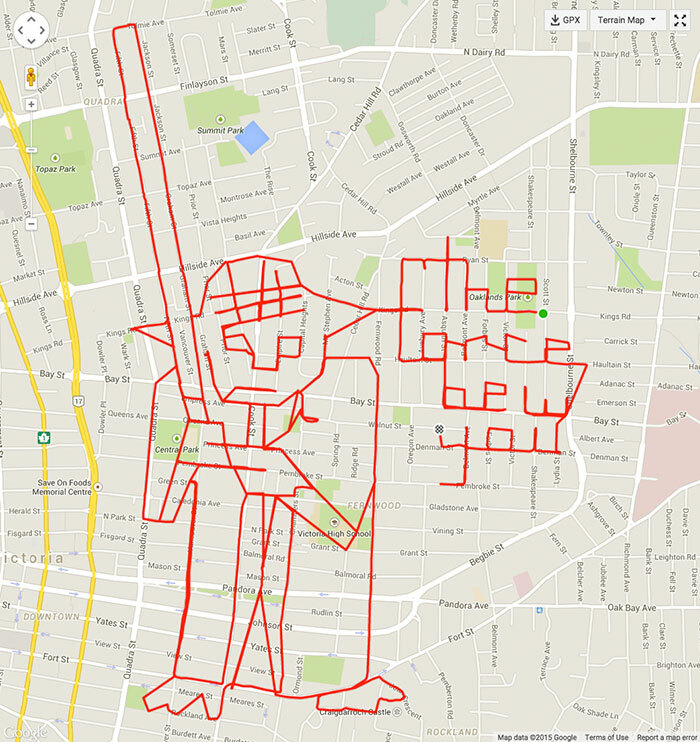 The largest creation of this kind is a GPS inscription by Yasushi Takahashi. 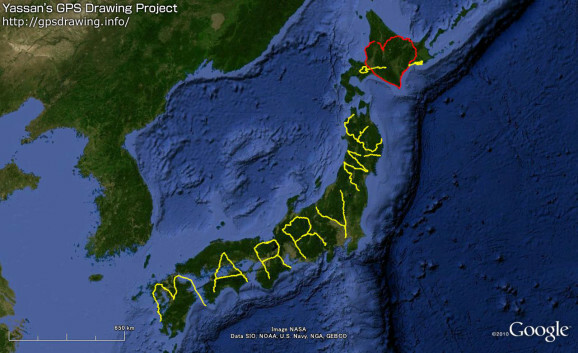 Seven years ago, Japanese GPS enthusiast working under the nick Yassan, set off for a 7,163.7km-long journey to create a giant MARRY ME across the entire territory of Japan in order to charm his girlfriend. Unlike Stephen, he used not only a bicycle but also walked or travelled by car or ferry. As you see, the ways how to make art are unlimited. Any plans for the weekend ride? What about an Angelina Jolie portrait? See more of Stephen’s drawings HERE.